This Semi-Automated System consists of five steps – Penetrant, Dwell, Spray Rinse, Dry, and Developer stages . It processes a complete family of parts used for aerospace. The line is constructed from four stainless steel modular MK Systems and runs left to right. 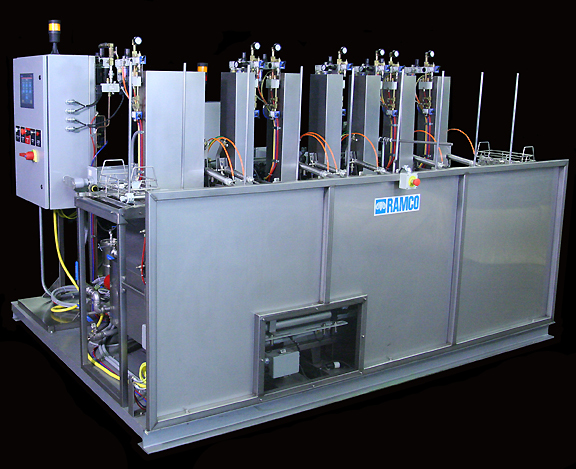 The Spray, Dry and Developer Stations, photo below, is built upon a heavy duty I beam fabricated base for accuracy, stability, ease of shipping and installation. 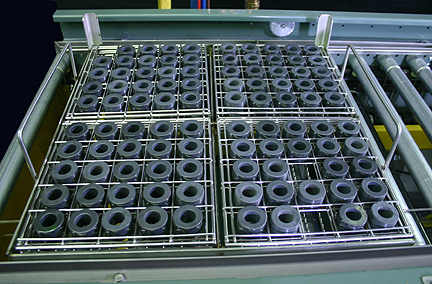 The control pedestal (far right) includes a main Nema12 panel. 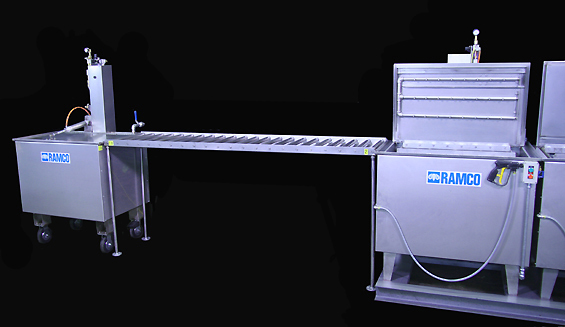 This Fully Automatic Dye Penetrant System incorporates a number of key RAMCO attributes. Transport/oscillating elevators are the basic building blocks for each of the stages. 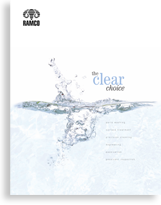 Exclusive RAMCO features include MultipleRollover, MultiPort Oscillation, RamTough Automation, and MultiZone Spray. 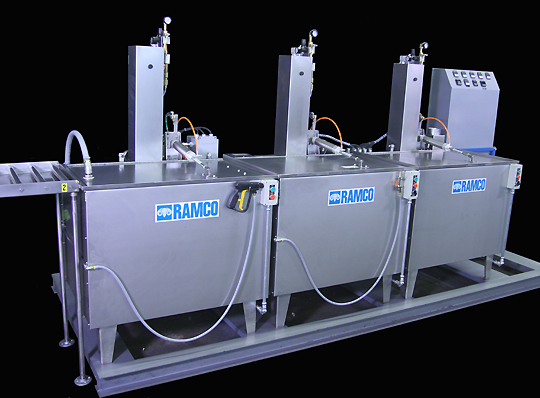 RAMCO can design manual or fully automated FPI systems to accommodate water soluble or oil based penetrants.